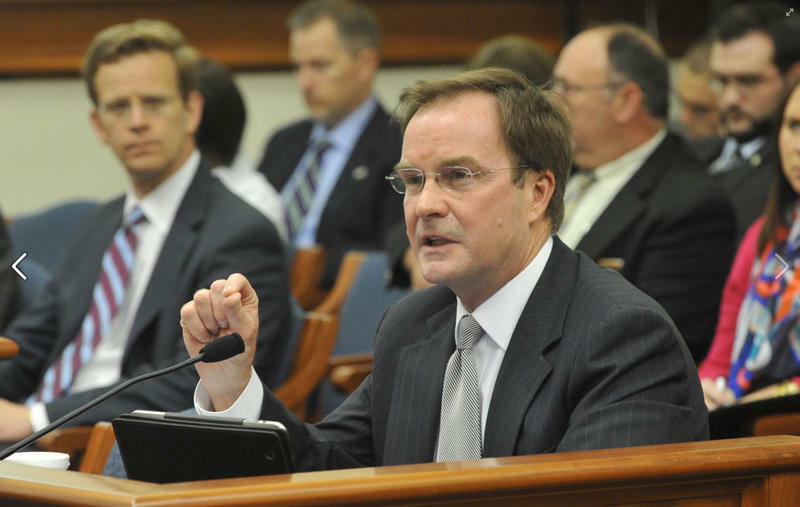 Has Attorney General Bill Schuette done enough to fight PFAS contamination in Michigan? Some people don’t think so. Tracy Breihof, a Belmont resident who lives near the Wolverine Worldwide House Street PFAS dump site, spoke at an event on Wednesday organized by the Michigan Democratic Party. She says PFAS doesn’t seem to be a priority for Schuette. “It doesn’t seem like it’s going to change much if he gets elected. Again, it just doesn’t seem to be something that’s on his docket right now,” Breihof says. Breihof's husband died of kidney cancer in 2016. The Breifhof's well was contaminated with PFAS. Kidney cancer is one of the diseases that has been associated with PFAS exposure, so Breihof wonders if exposure to PFAS could have caused her husband's cancer. These chemicals have been found at high levels in groundwater, rivers, lakes and drinking water around the state. Back in July, Governor Rick Snyder urged Schuette, the Republican candidate for governor, to pursue legal action against 3M. The company manufactured products containing PFAS chemicals. Andrea Bitely, a spokeswoman for the attorney general's office, confirmed that Schuette hasn’t yet taken any legal action against 3M. In an email, she said Schuette is continuing to work with the MDEQ on PFAS and "next steps regarding 3M." Philip Skaggs, the Kent County Commissioner in District 19, says Schuette did take proper legal action against Wolverine Worldwide. He also spoke at the event on Wednesday. “But what we are here today to say is that he needs to take similar action against 3M,” Skaggs says. Anna Heaton, a spokeswoman for Governor Snyder, told Bridge Magazine in September that by law, the attorney general "must sue on behalf of the state any time the governor asks." Snyder's spokesman Ari Adler added to her statement on Wednesday. “It is the attorney general's responsibility to represent the state of Michigan in lawsuits, either when filing or when defending. There are times when the AG will appoint special AGs (private-sector attorneys) to handle cases where there is a significant conflict of interest. Decision to do that rests with the attorney general,” he said. The state of Michigan could soon be taking legal action against the company that manufactures Scotchgard. 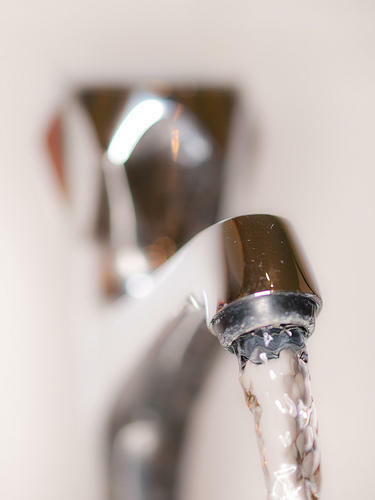 Governor Snyder asked the state’s Attorney General Bill Schuette to initiate legal action against the company because it makes products that use PFAS. PFAS is a group of chemicals that are the source of ongoing water contamination around the state. The chemicals have been linked to changes in liver, thyroid, and pancreatic function in animal studies. Governor Rick Snyder wants to improve the state’s response time to PFAS chemicals. They’ve been found in groundwater, surface water, and drinking water across the state. 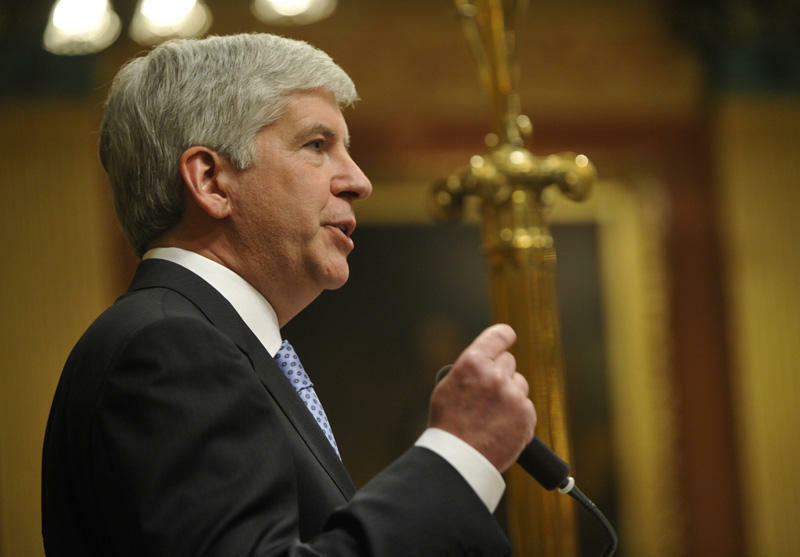 Snyder issued a directive on Tuesday calling on state departments and agencies to create a readiness and response plan. “We want to be ready in case something else happens, how do we respond as quickly and effectively as possible and that’s what this is about,” said Snyder spokesperson Ari Adler.